42" round. 64' long with 2 leaves) x 30 1/2" high. 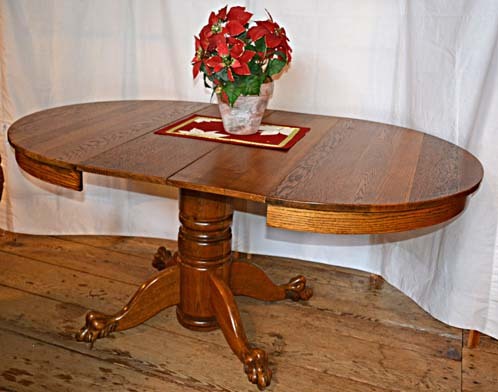 This Round Oak Table with 2 Leaves is very well done. 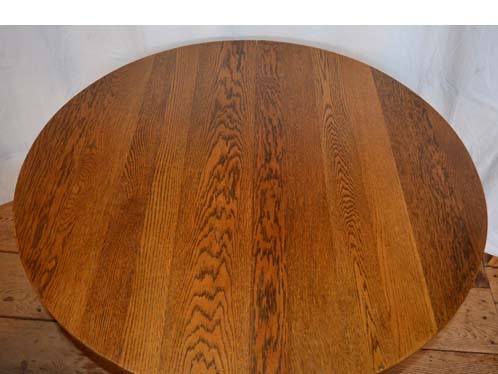 The table is a combination of riff sawn (straight grain) and quarter sawn (tiger grain) oak. 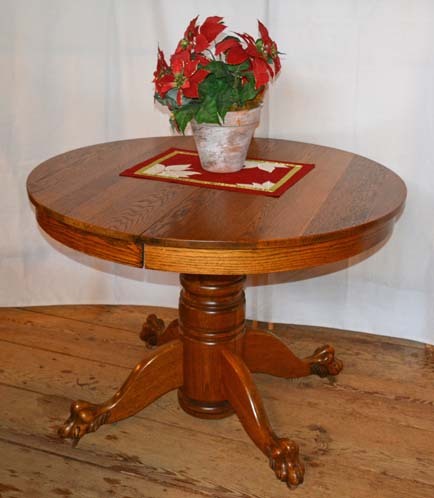 The two leaves give the table some versatility as it goes from a round table with out them to an oval table when they are inserted. This allows the table to go from seating 2 or 4 diners to one that can accommodate 6 or 8. 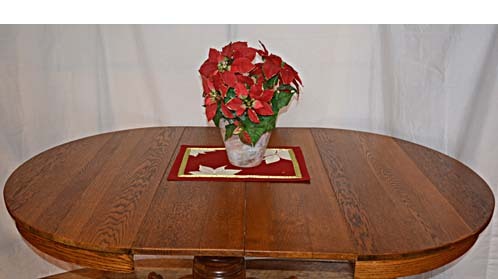 This is a great table at a great price. Details are available at BARN ON 26 ANTIQUES in Gray, Maine.